International School Of Ministry (ISOM) is a college curriculum that CareCenter Ministry offers to our men and women who feel they are called to ministry leadership within CareCenter or Academy of Inner-city Missions (A.I.M). We offer the ISOM curriculum so that ISOM attendees can earn their associate's degree in biblical studies and further their skills, and most importantly, their God-given gifts to use effectively in whatever direction of ministry God calls them to serve. Classes are held every Tuesday during the course from 6:00 p.m. to 8:30 p.m. and consist of three 45-minute videos. After each video, a group discussion is facilitated and then followed by weekly assignments that are due during the next session. Home Residents must agree and commit to an additional 2 years to CareCenter and serve in the home and community to be eligible to attend ISOM. Students are also required to complete quarterly book reports and have 32 days to complete them. There are two tests for each trimester; a midterm and a final exam. There are 5-trimester classes altogether. Each student works very hard to earn their associate's degree. We are honored to have several existing graduates from ISOM. We are looking to have many more in the future! 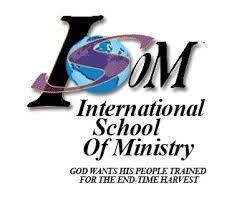 For more information on International School of Ministry, go to http://ministrydegree.org/isom.